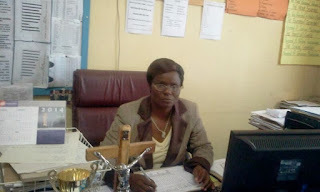 ZAKA – Musiso High School head, Emmaculate Tinago is leaving the school after over seven years of a tumultuous tenure which, however, proved her to be an astute female school head. Sources told TellZim News that Tinago and the Roman Catholic Church, who are the school's responsible authority, were parting ways amicably despite some rough patches on their relations over the years. When contacted for comment, Tinago was non-committal about her next move although sources said one prestigious private school had expressed interest in her. A source said Tinago had decided to aim higher after authorities had offered to transfer her to another school elsewhere. "School heads were being shuffled so she weighed her options and decided to move on. Remember she has proved herself to be a strong female leader with much to offer. Rumour has it she will go either to Terry Goss or Edrrovale College. "The new priest-in-charge was overriding her on almost everything and I think she got frustrated. They took her from a council school so I think she had expected better than to be moved to a lesser school at the end of it all," said the source.